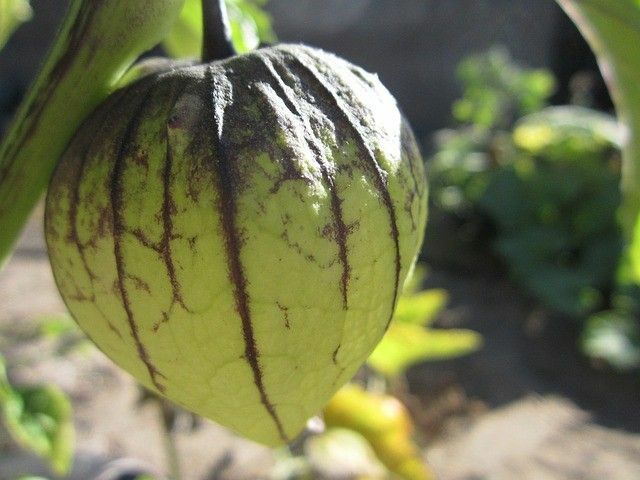 Tomatillos are normally harvested with their protective husk before they mature. You can eat them raw or cooked, once you remove the husk and wash the fruit. It is locally available in farmers’ markets here, so pick up some and whip up a salsa verde cruda by pureeing tomatillos with a bit of garlic, jalapeno peppers and coriander. Also known as “Salsa Verde Cocida”, this salsa is ideal for eating with tortilla chips. This raw salsa, “Salsa verde cruda”, can be thrown together in no time. Since it is made with tomatillos rather then tomatoes, it’s less sweet and more refreshing. This Tex-Mex classic can be served for breakfast, brunch or dinner. Originally published in the Journal de Montréal on October 5, 2013.